Open reading room with computers and printers. These stacks hold ML (music literature) and MT (music training) books. 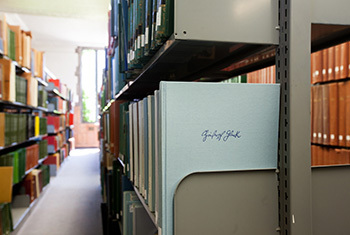 For more information on this collection, visit the Music Library. 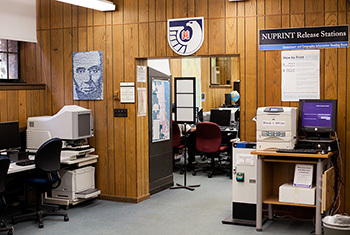 Consult Northwestern's history, including non-current official University records, papers of faculty members, and records of student organizations—as well as publications, photographs, audio-visuals, artifacts, and more. 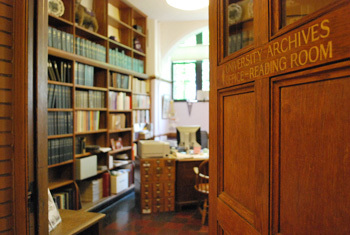 The Archives' holdings are non-circulating, and are open to the public for research and reference. For more information about this collection, visit Northwestern University Archives.